We get it, there's a gazillion things to plan for a wedding and time just never seem to be enough. 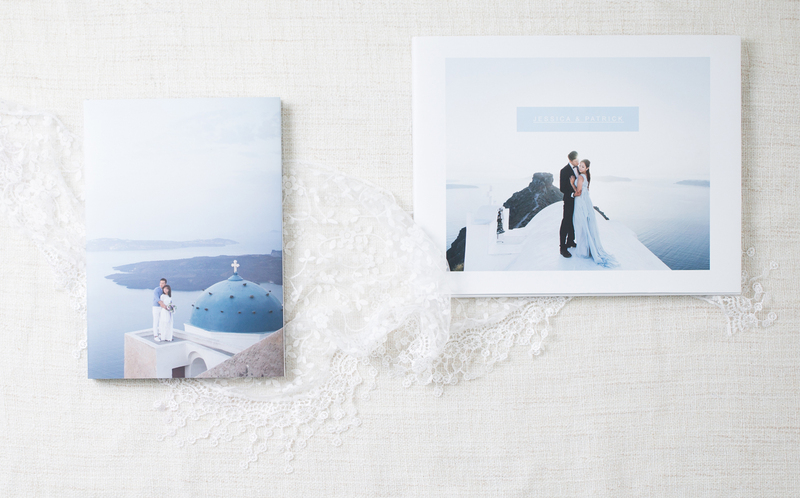 That's why we put together this guide to show all you need to know about our two most popular PhotoBook for weddings. Layflat: With this binding technique, you can go full spread from corner to corner without losing any part of the image in the middle spine area. If a lot of your photos have important elements at the center of image and you like the print to flow seamlessly across a double page spread then this is the way to go. Big Wedding PhotoBook: Uses a Polyurethane Reactive (PUR) binding method that make use of adhesive to glue together the pages at the spine. It's the most durable glue available and far superior to adhesives used in traditional book binding. Main benefits includes it's superior flexibilty which prevents the spine from cracking when book is opened wide and better resistances to page pull-out. It can easily hold up hundreds of pages. 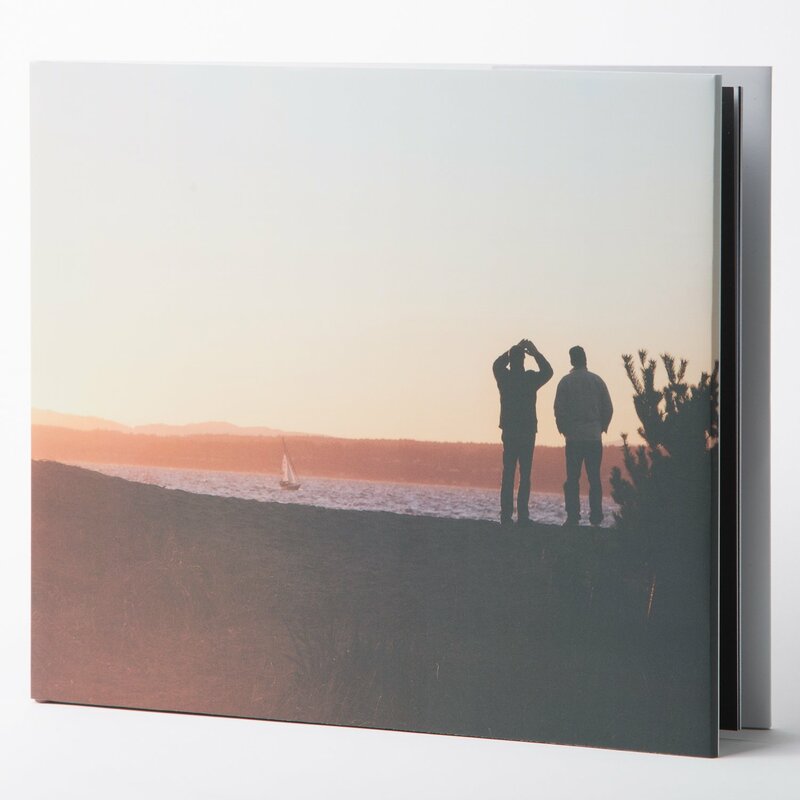 Bottom line is if quality and durability are important and you're planning to put a lot of pages into your photobook then PUR is the better choice. Layflat: Uses thick papers (400gm) and comes standard with protective film coating. These are strong hard pages that won't bend when flipping through. Each layflat book starts with a minimum of 20pages and due to it's thickest in pages and binding technique it can only hold upto a maximum of 28pages. More suitable if you only have a small collection of photos you want to showcase on a wedding table at the receptions. 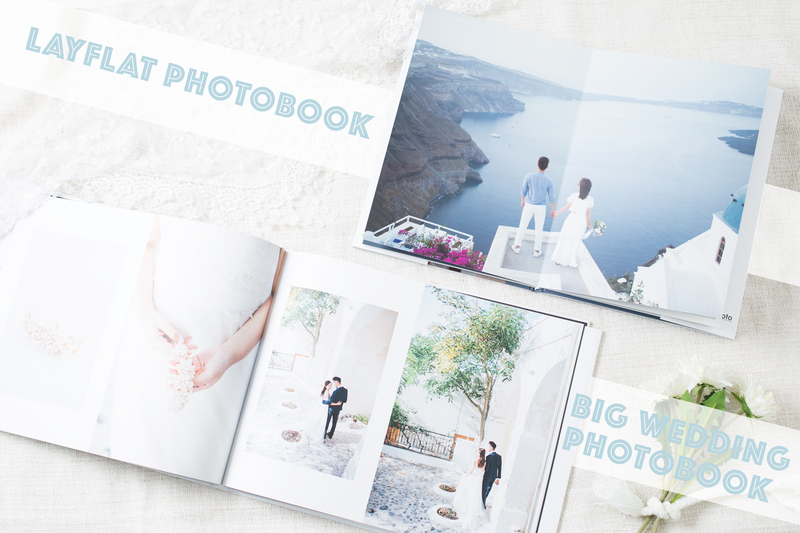 Big Wedding PhotoBook: The thickness of the pages are at 200gsm and there's an additional option you can choose to add a matte protective file. With or without the protective film the pages are resisted to splash of waters and can be easily wipe off without fading colors. The protective film is a great option though as it feels smoother to the hands and can be more durable. Lots of pages can be added to these photobooks up to 200 of pages. Layflat: There's only one option available which is the hardcover with book jacket. Cover is full image wrapped which means you can design a full-bleed cover image of your choice with a sophisticated matte finishing. The book jacket have the same image as the cover and mainly acts as a protective for your book. Our logo is printed on the inner flaps of the jacket and it's the only place we have the logo. 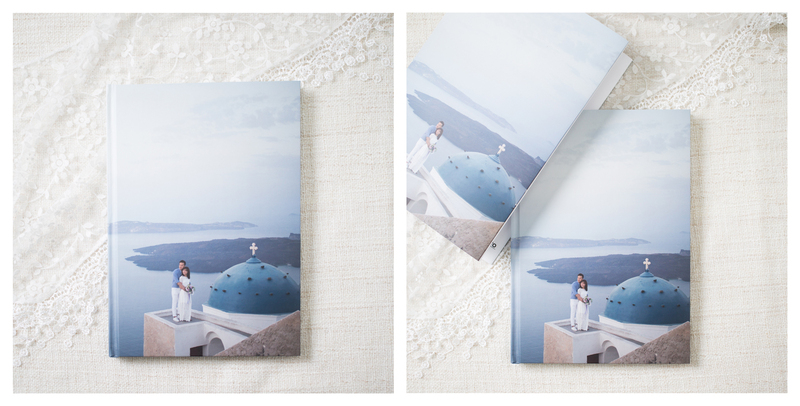 Big Wedding PhotoBook: Available in both hardcover and softcover. For weddings, we'll suggest keeping it in hardcover because for it's better durability and safe keeping. The softcover is a nice option too as a bridesmaid gift in a smaller book size. 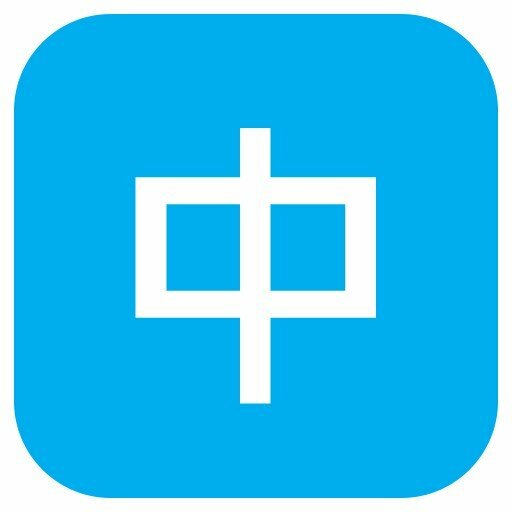 Now, hope that clears some questions in mind and can give you a better idea with which PhotoBook to create. We would also suggest visiting one of our shops to check out the quality and have a feel of the books in your hands. As with many other things in planning for wedding it's better to start as early as possible to avoid any last minute rush. 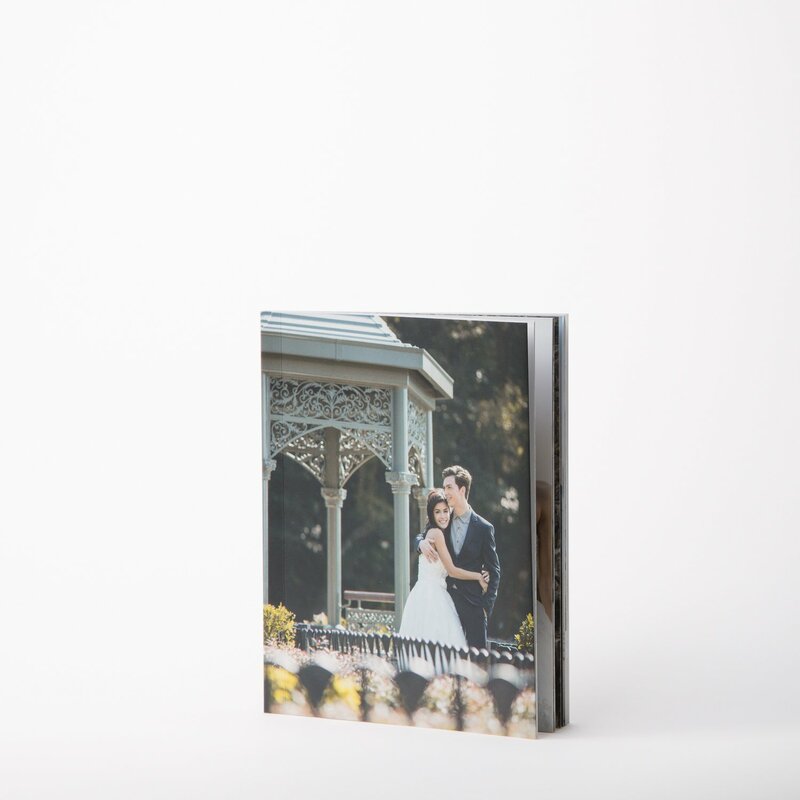 Your wedding photobook is special in not only it's a great gift idea for loved ones, but can also let you share the beginning of your love story in prints for generations to come.